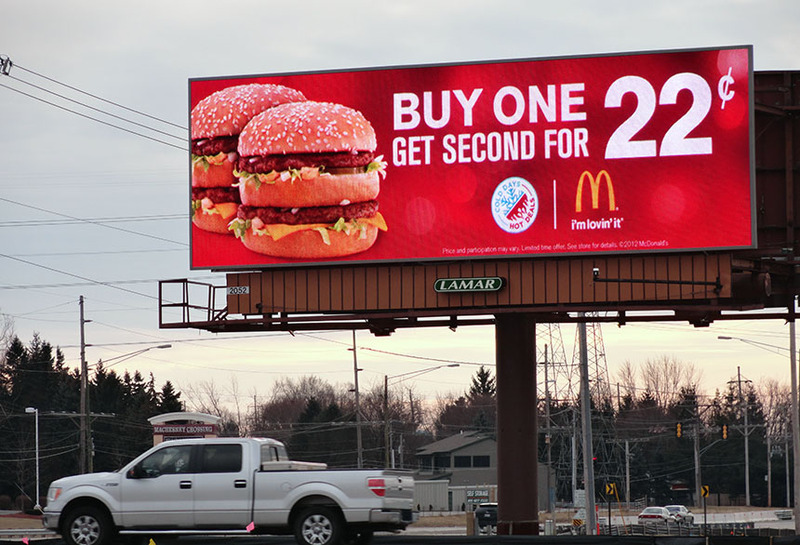 McDonald's utilized Lamar's dynamic digital capabilities for this "Cold Days/Hot Deals" campaign. The outdoor temperature at noon each day determined the cost of the breakfast, lunch and dinner promotions the next day. In this example, the temperature registered 22 degrees at noon, so the corresponding lunch special ran for 22 cents.